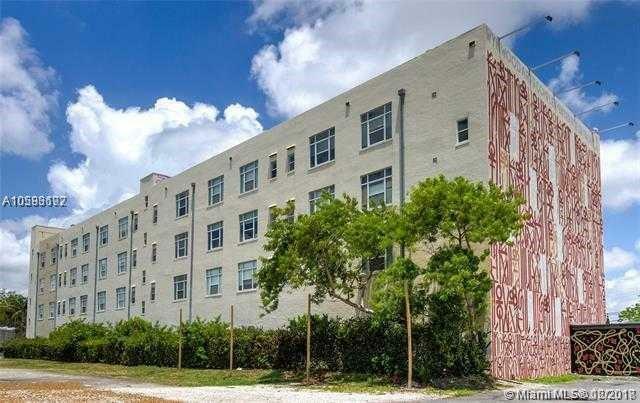 Live and work in the heart of Wynwood in this 1,463 sq. ft. trendy loft. Just a walk away from many restaurants, art galleries, and entertainment venues. Open floor plan gives flexibility in design and 14 ft. ceilings allow plenty of natural light. Fully equipped kitchen comes with stainless steel appliances, one full bathroom and laundry. Workable space that can be distributed depending on the use. Best location in Wynwood to live, work, and/or play. Very safe building with rooftop pool and one covered garage space included with potential storage space. Easy to show. NEGOTIABLE. OWNER MOTIVATED! CONSIDERING ALL OFFERS.